/ How to Schedule Posts in Facebook (Updated)? 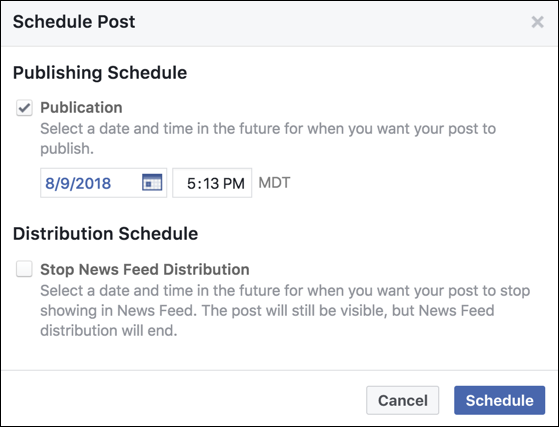 How to Schedule Posts in Facebook (Updated)? Facebook has added Stories to its business pages and now the scheduler is a lot more complicated. Can you walk me through the updated system, please? Another month, another change to the Facebook interface. No surprise there. What is surprising is how often the change affects business pages, which are an important revenue stream for the company. You’d think that they would make things easy and stable for companies that are using the Facebook platform for marketing, advertising and customer service. Ah well, so it goes in the modern online world. 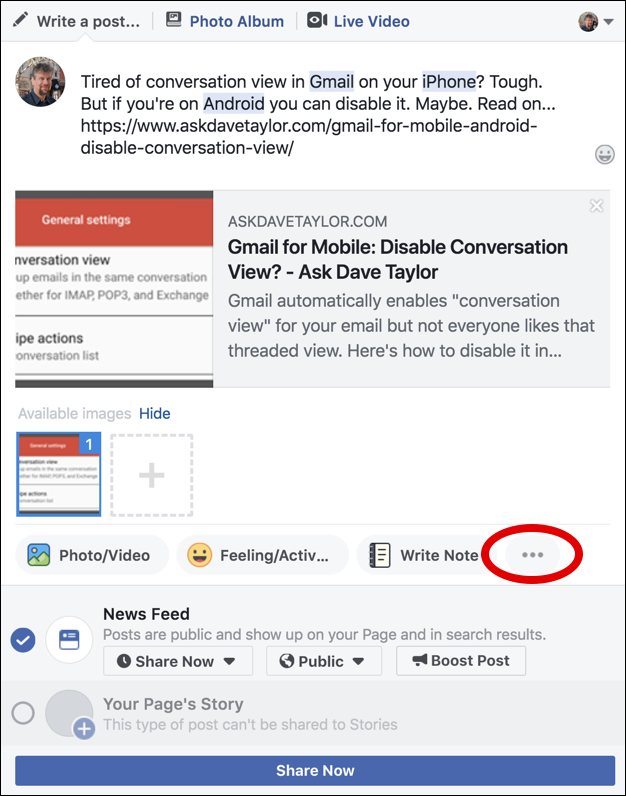 What you’re seeing with the Facebook “Stories” is something related to how Facebook has been working to more tightly integrate the Facebook and Instagram experience; The company has already been doing very well promoting Instagram Stories, so why not do so within the Facebook world too? And so, Facebook Stories. It’s really quite complicated, so I won’t be surprised if it’s redesigned yet again to be simpler. For now, however, that’s what you’ll be working with. The two main choices are News Feed and Your Page’s Story. The former is what you’re used to doing and the latter is akin to Instagram Stories and is worth trying out to see how it works. I have two scheduled now, as you can see. A click on “See posts” and you can change or delete them pre-publication too. And that’s how it now works. For this week, at least. Pro Tip: We have lots and lots of Facebook help here and a helpful Ask Dave Taylor Facebook Page I invite you to join too. Thanks.